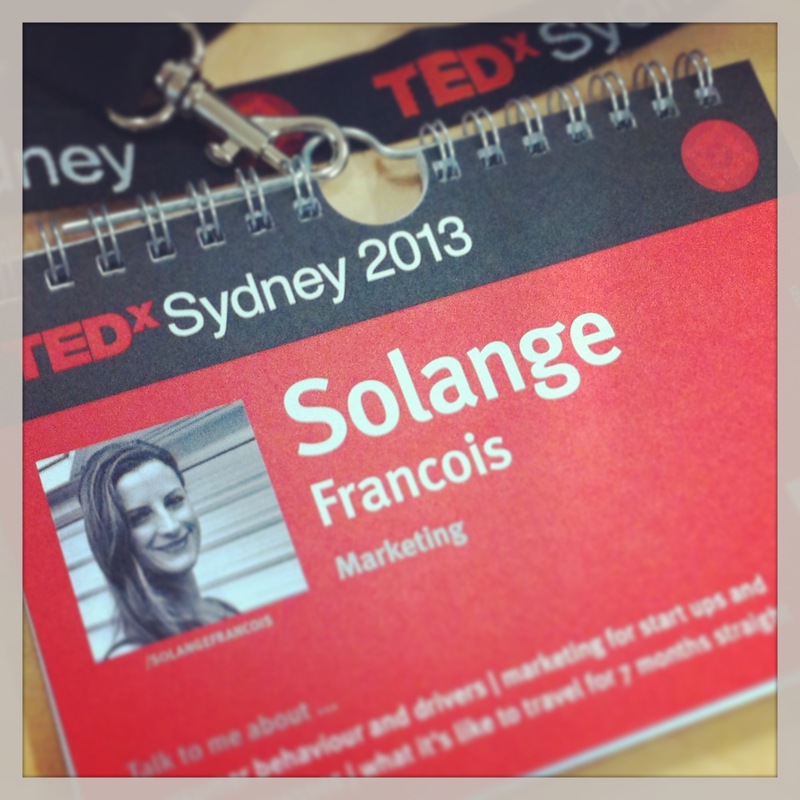 I was stoked to be accepted as part of the live audience for TEDxSydney 2013. The whole day was incredible – the speakers, the setup, the attendees, the food! I loved every part. The opening talk, by Ron McCallum, on ‘The Blind Reading Revolution.’ A must-watch. Danny Kennedy on solar power. A video about how crowdfarming was used to feed the attendees. Lawyer Jennifer Robinson on ‘Courage is Contagious.’ She made everyone in the room want to become a human rights activist. Tasty Video Bit by Saatchi & Saatchi: “The First Taste” – a slow-motion video of kids trying new foods. The performance by beatbox extraordinaire Tom Thum was AMAZING! Here’s a video of him jamming backstage with John Butler and Jeff Lang. Joost Bakker’s talk on sustainable and zero waste buildings was rad. He’s doing some awesome things. Check out his website. This Tasty Video Bit by The Projects and Paper House Productions was adorable. Hank and the Pink Balloon. Meeting a woman called Alison Covington at afternoon tea. Alison is bringing Good360 to Australia. It’s all about matching corporate “waste” with charitable need and I’ll be heading along to this event on the 5th of June to learn more. Spending the day with some of the awesome crew that organises TEDxAuckland. Aucklanders, keep an eye out – the 2013 event is happening in a few months and I might just see you there! There are so many crap ads, so it’s nice when you come across one that can hold your attention. Anyone with a sibling can relate to the kid at 0:13, and I like the divorce proceedings at 0:27. The only thing that’s a bit silly here is how close to a cricket game the guy in the last scene has parked his beloved Golf, but I’ll let that slide. All in all, this is a solid advert. Now in Sydney: Un petit bout de France! 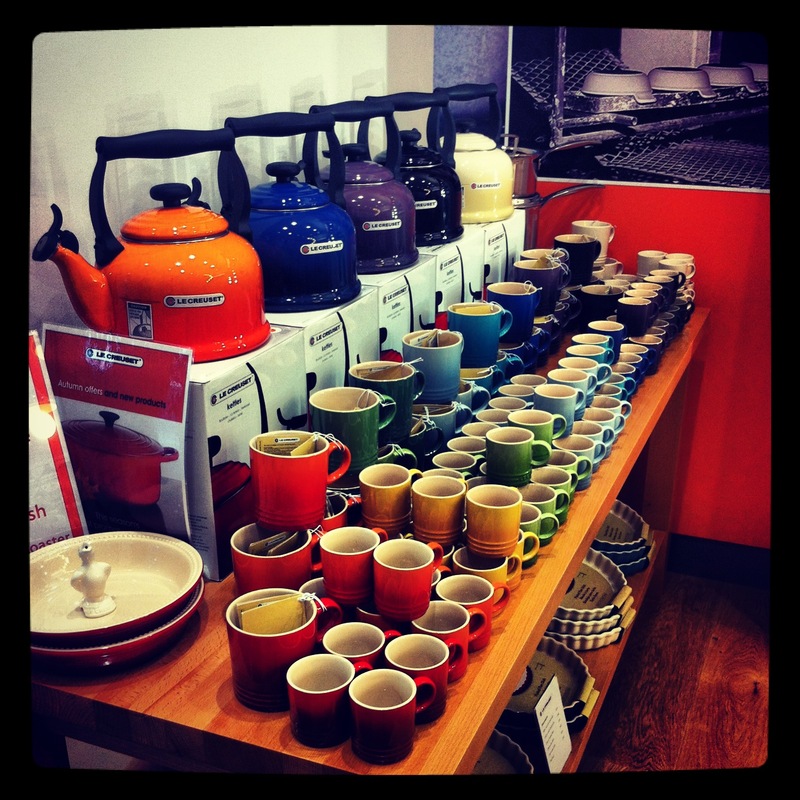 The beautiful cookware of Le Creuset is now in its own stand-alone store at 106 King St, near Pitt St Mall. I believe I’ll be spending a fair bit of time (and money) in there…. This clever site is a nice reminder of the fact that we’re ultimately here for a fleeting moment. Click through to see how small one day in the grand scheme of things. Damn well, make it count.